Hi, I have a 2005 Toyota Scion TC and the last few times I have had my car serviced with brakes and tires, it was at Firestone. I also had new back brakes put on through the local high school auto tech department, as well. Ever since I left a firestone location, my tire indicator low pressure light keeps coming on and staying on. It looks like (!). I took my car back into firestone and they told me that nothing was wrong with my tire pressure (I also checked my tire pressure and they were ok). They said that because my front tires take 32 and my back tires take 29, that when they rotated my tires, it is now "reading" wrong. However, I do not think that the manufacturer would make a tps system that would could not handle a rotation. Now the problem is my tires are not maintaining air pressure well. Now firestone tells me that the reason the tps system is on, is because my tires are low in air. They tell me that due to the cold weather, my tires are retracting air pressure. They told me that the would replace all of my sensors for free. I have scheduled an appointment with firestone in a few days to have all my tire sensors replaced, and to figure-out why I have to keep putting or checking the air in my tires! Firestone tells me that there is nothing wrong with my tires, so why are they staying low on air? I called Sears and they think that Firestone borke a sensor of mine. I did see someone at Firestone beating really hard around the tire area. It is just really odd, because the tps light came on when my tire pressure was fine, but now it is still on, and my tire pressure is low! I dont' know if there is something wrong with my tires, my tps system, or what? What do you think? Firestone keeps telling me that there is nothing wrong with my tires and they are low on air due to the cold weather. However, I have had this car for nearly five years, and I don't remember ever going through this with low pressure and cold weather before with my tires? PS: I feell like I am just getting a big run-around with Firestone. I keep taking my car in and they are telling me they have fixed the tps and my tires are ok, but 30 miles down the road the indicator (!) Light comes on again, and my tire pressure is low! TPMS systems have their own technical issues as well. One is battery life. The pressure sensor inside each wheel contains a small battery to power the sensor and transponder. Most are long-life lithium batteries that may last from five to 10 years. Eventually, though, the batteries will go dead. On some vehicles, the battery can't be replaced separately so the sensor/transponder must be replaced as a unit. If a battery has died, it's probably a good idea to replace all the TPMS transponders if the vehicle is more than six years old. Yours is less than 6. One issue with direct TPMS systems is keeping track of which wheel is which. Rotating the tires obviously changes the location of each transponder. So the system must be reset so the control module can relearn the position of each transponder. This may require the driver to push a reset button on the dash or to follow a menu on the driver information display. On some applications, the batteries are replaceable, but most are not. 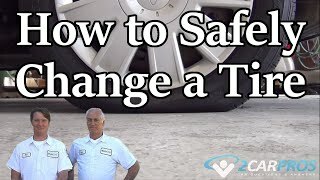 Consequently, most tire dealers will recommend replacing the TPMS sensors when the tires are replaced (typically after 5 to 7 years of service). Thanks for your information, but is it possible that my sensors were damaged? Also, what is my tire pressure low? Is it because of the cold weather? Firestone keeps saying that "nothing is wrong with my tires", but every day I'm having to put air in them? your tires will be fine after they change the sensor. One of the sensor is misreading the tire after the rotation. Take your car back to Firestone to take care of the sensors. Hi, but why do you think my tire pressure is low? Surely the sensors don't cause that? Is it the cold weather? Firestone keeps telling me that there is nothing wrong with my tires, but they are habitually carrying low air pressure---especially in the front. I agree with you. You know your car better than anybody else. Firestone should have checked the tire entirely. 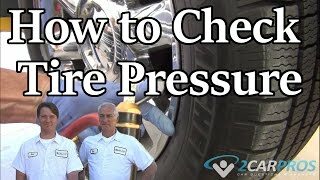 You may have a leaking valve stem, if the tire gauge shows that the pressure is ok and the sensor reads that the tire is low, the problem is the sensor, but if the tire gauge shows that the tire is low, Than the problem is with the tire not the sensor. You can take your car to another dealer or Wal-Mart to check the front tires. Firestone may have overlooked something. Cold weather should not be a problem to your front tire to lose air. 05 Sion Tc Tire Presure Monitoring Sysyem Light Keeps Coming On, I Reset It Presure Good, No Sensors On The Valves Where Is Sensor? I Have Inflated And Deflated My Tires To The Required Pressure And Above. My Light Will Not Turn Off. What Else Can Make It Stay On?